You know, sometimes you don't want to just be in charge of one ship. You want to be in charge of an entire fleet of ships. I mean, that's real power right there. And I'm not just talking a couple starfighters. Oh no. I'm talking the big ships. 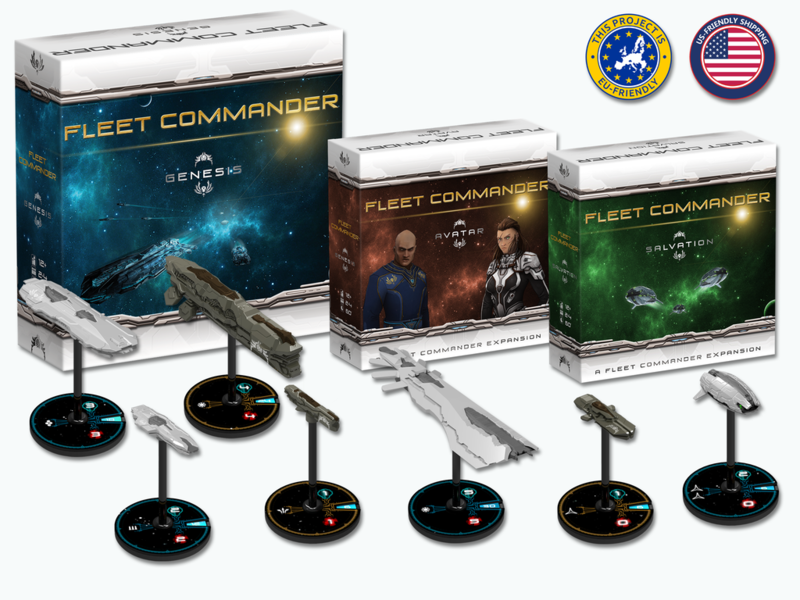 That's just the sort of thing you get in Fleet Commander, and you can be a part of it during their Kickstarter campaign. Fleet Commander uses 50 game tiles to quickly create a board that will be unique each time you play. It also has a unique dice mechanic. The dice tell you a bit about how you can move your ships and how your shields operate, but not how much damage your attacks do. The system is designed to be fast-playing, so even though you've got several ships you're in control of (from 6 different classes of ship), gameplay should take less than an hour. The campaign is looking to fund not only the base game, but a pair of expansions as well. They're well on their way, too, already over 50% funded with still 29 days left to go.